Anchor health care institutions like Kaiser Permanente, Dignity Health, and Community Medical Centers can do much more to fight asthma and other chronic diseases. Not-for-profit hospitals are required to invest and promote health and wellness in their communities – otherwise known as “community benefit” – in exchange for billions of dollars in tax exemptions annually. Traditionally, community benefit money has been spent on charity care and Medi-Cal shortfall (the difference between what Medi-Cal pays and the actual cost of care); but thanks to the successes of the Affordable Care Act (ACA), we now have an opportunity to prioritize holistic health and wellness. For students like Orlando, this means not just providing necessary and immediate medication like nebulizers and inhalers, but also targeting the conditions making him sick in the first place — with affordable housing investments, environmental improvements, health education, and other vital “upstream” solutions to health. Yet 11 not-for-profit hospitals in the Central Valley only invested 0.32 percent on average of their 2012 operating budgets on these upstream investments. 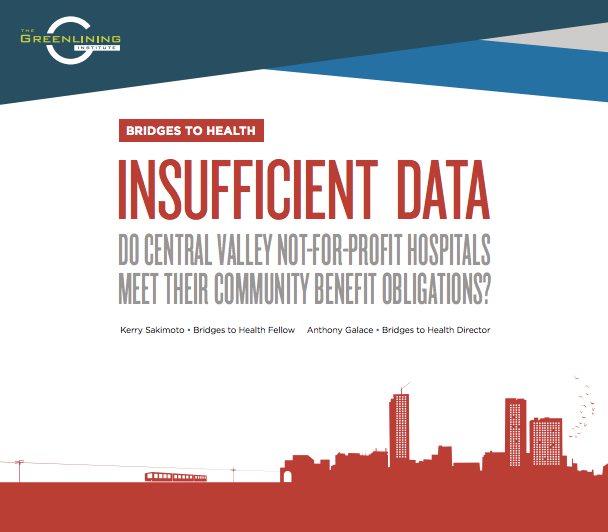 We compiled detailed findings of these hospitals’ community benefit spending in Greenlining’s latest report, “Insufficient Data: Do Central Valley Not-For-Profit Hospitals Meet Their Community Benefit Obligations?” Some hospitals, such as Adventist Medical Centers, invested as little as 0.001 percent of the 2012 spending budgets – or only $12,587 of more than $300 million – towards upstream investments for vulnerable populations. What if hospitals focused their community benefit investments to not only prevent asthma, but also create economic opportunities that improve health outcomes? Believe it or not, not-for-profit hospitals can – and should – invest their community benefit dollars towards improving air ventilation in affordable housing units or programs that expand public transit and access to zero-emission cars. These investments, known as “community-building activities,” were institutionalized through the ACA, with the goal of encouraging hospitals to devote greater resources to addressing the root causes of poor health. And supporting programs and services that confront the ever-looming threat of climate change is one of the most potent ways community benefit dollars can spent. Climate change and air quality are health issues, as Orlando and his family know too well. At Greenlining, we’re working hard to bridge our health policy and Environmental Equity programs – because it’s all connected! For example, our Environmental Equity team’s latest publication – which highlights 10 examples of successful climate investments throughout underserved communities in California – is undeniably a roadmap to improving public health. 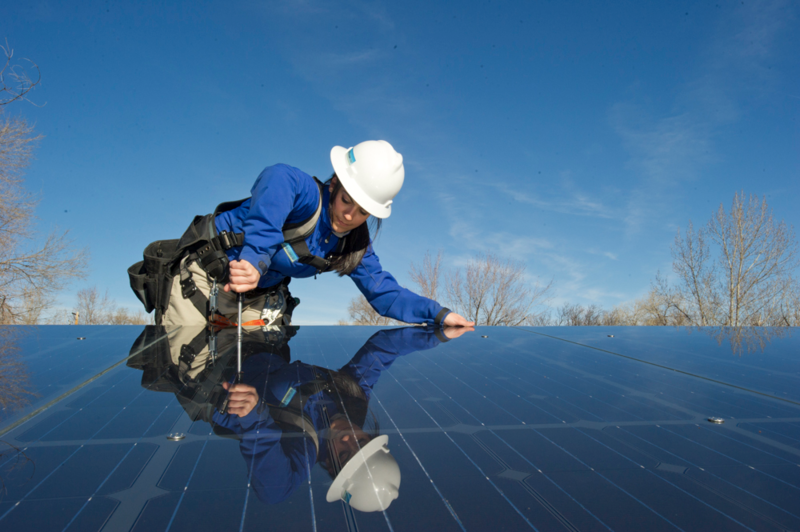 California’s Climate Investments – the money California collects by charging polluters that we then put to work in our communities — can greatly reduce pollution and create quality jobs for low-income families and communities of color. For example, Maria Enriquez is another Central Valley resident who suffers from asthma. Thanks to GRID Alternatives, a not-for-profit organization that provides solar panels to low-income homeowners (and whose work is supported by those polluter fees), Maria and her family only pay $85 a year on electricity. Not only does rooftop solar improve her ability to pay for food, health care and other necessities, it also reduces emissions and pollution in the Central Valley – so her neighbors breathe cleaner air too. Linking these discussions will undoubtedly amplify their impact. All stakeholders, including our hospitals, need to play a more meaningful role in improving public health through environmental improvements. Upstream solutions like low-cost solar power funded by the Greenhouse Gas Reduction Fund (GGRF) help create a greener and healthier Central Valley — A region where asthma hospitalizations alone cost . 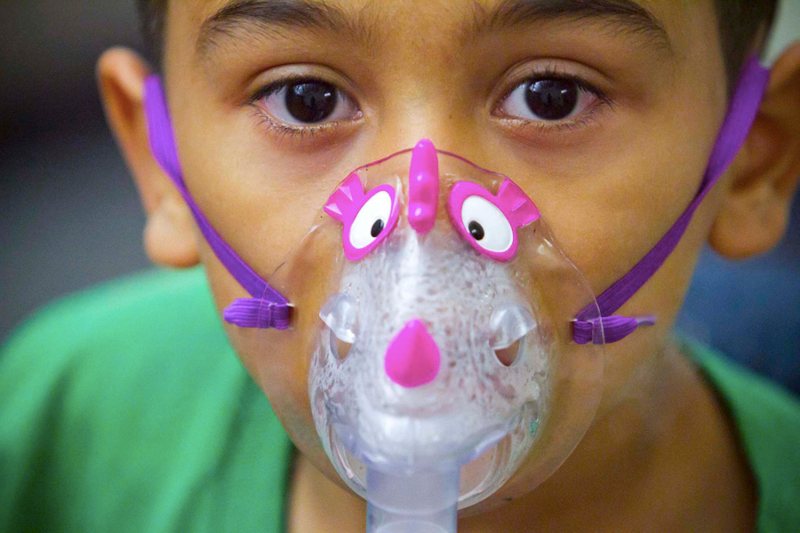 By supplementing GGRF dollars with community benefit spending, not-for-profit hospitals can more effectively target some of the root causes of asthma and other lung problems. Environmental justice and health equity advocates have a key opportunity to develop meaningful partnerships. Their combined efforts can prevent the devastating effects that climate change will have on the health of low-income communities of color. We hope that not-for-profit hospitals across the state will take a leading role in fighting climate change as part of a deeper effort to promote health and wellness, a strategy that can be furthered by improving their community benefits agenda. At Greenlining, we are devoted to ensuring that we achieve this goal, for the sake of Orlando, his peers, and every single person ravaged by health inequities and climate change. As we mobilize for this fight, we hope our hospitals will join us. Originally posted on the Greenlining blog.